Is the wavefunction ontological or epistemological? What is wrong with Copenhagen/standard interpretation? Arguably, the standard interpretation is the best available interpretation, but it is not without blemishes. The big problem here is the usage of classical mechanics. Here is a nice exposition of why there cannot be a consistent mixed classical-quantum mechanics theory: http://arxiv.org/abs/quant-ph/0301044 Quantum and classical mechanics belong to different composability classes: quantum mechanics is a realization of elliptic composability and classical mechanics is the sole realization of parabolic composability. Physically, in a mixed classical-quantum system, there is no back reaction of the quantum system in the classical one. In other words, classical devices cannot measure anything from the quantum world, and the idea of a classical measuring apparatus is a nice fantasy. However, the old Bohr interpretation got a nice instrumentalist upgrade from late Asher Peres. I highly recommend his book: “Quantum Theory: Concepts and Methods” (http://www.amazon.com/Quantum-Theory-Concepts-Fundamental-Theories/dp/0792336321) In the Preface, Peres famously states: “quantum phenomena do not occur in a Hilbert space, they occur in a laboratory”. For all practical purposes, the Copenhagen interpretation works very well if we do not notice the logical inconsistencies of using classical measurement devices. Shut up and calculate said Mermin. But is Peres’ quote from above an acceptable defense of why the “something” which “must remain unanalyzed” be a classical device? Not at all. What is needed is to obtain the emergence of the classical world from quantum mechanics. Then we can embrace Peres’ position (although there is a sizable amount of handwaving there). The first step is to see why we don’t observe superposition. The answer is simple: decoherence. But decoherence is not enough. The unique experimental outcome needs an explanation too. Quantum Darwinism shows that what succeeds to be recognized as the measurement outcome is what succeeds to make copies of itself (and this in turn explains the preferred basis). This copying and amplification effect shows that the measurement device is in an unstable situation. The first outcome to be realized from a potentiality of choices wins the day and gives rise to “objective reality” where all observers can agree on the outcome due to the zillions of information copies of the one and only outcome. But how can one explain the very first copying event, the very first ionized atom, the very first collapse of the wavefunction? And do this while preserving unitarity. Here is where Peres hit the nail on the head: “quantum phenomena do not occur in a Hilbert space, they occur in a laboratory”. A Hilbert space is only a mathematical realization of some (operator) algebra (via GNS construction), and if in that algebra one can naturally create two elements out of one (this is called a co-product), Hilbert spaces can pop up or vanish with no mathematical or conceptual problems. I don’t think there are any conceptual problems with a Fock space and with particle creation and annihilation, but the very same mechanism happens in ordinary quantum mechanics during interaction/measurement. The mathematical structure behind is called a Hopf algebra and the current challenge is to show that a Hopf algebra arises naturally in the operator algebra for ordinary quantum mechanics too and not only in field theory due to the existence of the Lorentz group. The math is highly nontrivial, but there are no interpretation issues. The math proof is work in progress, but it is advanced enough to be able to present a new interpretation of quantum mechanics in the next post. Since this interpretation stems from the program of deriving quantum mechanics form natural physical principles, this is it. After all, how many physics conferences do you know which are dedicated to the interpretation of special relativity? What is wrong with GRW and MWI? In this post I’ll present the problems encountered by two interpretations, GRW and the many-worlds interpretation (MWI). In GRW theory, the wavefunction spontaneously collapses from time to time and this solves the measurement problem. However, GRW is a departure from quantum mechanics and the loss of unitarity leads to the universe heating up – a prediction which can be ultimately confirmed or rejected experimentally. The free parameters of the theory are tuned (picked) in such a way that currently we cannot measure this effect, but this does not rule out future more sensitive experiments. So GRW is technically not quantum mechanics and not an interpretation. My dislike of GRW stems from the fact that it is a stochastic theory and stochastic theories are not theories of nature since they violate the Hamiltonian or Lagrangean formalism. But ultimately experiments will decide the fate of GRW. 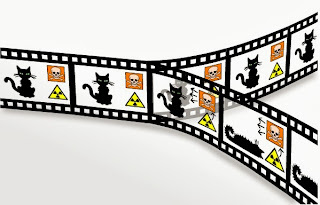 The Many-Worlds interpretation is a genuine interpretation of quantum mechanics and its aim is to solve the measurement problem while rejecting the collapse postulate and preserving full unitary time evolution. The basic idea is this: upon measurement, the wavefunction splits into two parts, and each part lives into a different universe. You may say this is preposterous because there should be zillions of universes and we witness only one. However, those universes are not interacting with one another so from your point of view, everything looks like the universe we experience every day. -Why did people once think that the Sun is going around the Earth? -Because it looked like that. -But what would it look like if it were the other way around? -Why does the wavefunction collapse during measurement? -Because it looks like that. -What would it look like if there were no collapse? Now if MWI is actually true, it would mean several things. For one, we will all be immortals (although the fraction of universes for which we continue to live in would be so tiny that it would not occur in practice). Also, it will affect the reasoning of a rational person playing Russian roulette. But there is a genuine mathematical difficulty with MWI and this was first noted by Bell himself. OK, the world splits, but HOW? There are many ways a wavefunction can be decomposed. In other words, the decomposition is not unique and the question becomes why is there a preferred basis for decomposition? Currently MWI gets its support from decoherence which specifies a preferred basis. But this is ad-hoc. Why is a particular time evolution (decoherence) singled out in this process? There is tension between the two stories: decoherence convinces us that it is very natural to not observe superposition because it is a consequence of an unremarkable and mundane time evolution, while MWI distinguishes and singles out the end state. Something is fishy in this story. I fully agree with Zurek that MWI has the feeling of a cheap shot in solving the measurement problem. The story is therefore more complex and we need to be looking for an explanation within quantum mechanics itself. The spirit of MWI lives on but the first cut at solving the measurement problem is not good enough. For me from all current interpretations, the one I like the most are the positions of Zurek and late Asher Peres. I presented in prior posts how I propose to change Zurek’s quantum Darwinism approach to solve the measurement problem in a fully unitary way. There are still unresolved technical issues, but this is a work in progress. Next time I will present the Asher Peres/Copenhagen interpretation and what I find objectionable there. What is wrong with Bohmian interpretation? Now we are almost ready to introduce a new quantum mechanics interpretation. There is one more step to take: explain what is wrong with existing quantum mechanical interpretations. We start with Bohmian mechanics. Let me clearly state that each and every existing quantum mechanics interpretation represent valuable contributions and provided new insight in quantum mechanics. Bohmian mechanics was a core incentive for Bell to develop his inequalities for example. But what is Bohmian mechanics? The core idea is simple: the particle has a definite position at any single time and it is guided by a “quantum potential”. Since there are no local realistic models for quantum mechanics, one can see right away that the quantum potential must violate relativity. But can quantum mechanics and relativity coexists peacefully? What if we pick Nonlocality as an axiom for quantum mechanics? Popescu and Rohrlich considered such an idea http://arxiv.org/abs/quant-ph/9508009 . While this did not result in deriving quantum mechanics, it proved a fruitful idea and it led to the introduction of a hypothetical device called a PR box (PR from Popescu and Rohrlich). If classical resources can achieve the maximum correlation given by the Bell limit, quantum mechanics can achieve a higher correlation limit known as the Tsirelson bound http://en.wikipedia.org/wiki/Tsirelson's_bound. A PR box can go over the Tsirelson bound and achieve impressive feats http://arxiv.org/abs/quant-ph/0603017 . Returning to Bohmian mechanics, there are internal inconsistencies regarding reality. We already encountered in the prior posts the problem of representing spin with a classical model. The biggest problem however is the fact that Bohmian mechanics is contextual. What does this mean? By Kolmogorov’s axioms, correlations cannot exceed Bell limit. The only way out is to demand different statistical contexts. Suppose one measures three variables A, B, C with A and B compatible measurements and A and C compatible measurements, but not B and C. Contextuality means that the random variable associated with A in the context of A-B experiment is different than the random variable associated with A in the context of A-C experiment. So much for “objective reality”. Another problem I like to point out is the description of the hydrogen atom in Bohmian mechanics. If the electron does have a definite position, movement around the proton would radiate energy and the atom would be unstable. The solution in Bohmian mechanics is that the electron and proton are standing still at a fixed distance one from another. The problem is not that the electron is stationary despite electrostatic attraction (after all Bohmian mechanics is known for “surreal trajectories”) but the fact that this particular distance is distinguished from all other distances. This distance is completely ad-hoc with no possible explanation except “God made it so”. Compare this with the kinds of answers we get from quantum electrodynamics and it is clear why no quantum field theory was developed for Bohmian mechanics. Now physics is by its very nature against supernatural, but and in particular the quantum mechanics area with its counter-intuitive phenomena attracts lots of attention from general public and people espousing their own theories. These days perpetual motion machines are out of favor, and there is surprising interest in "proving Bell theorem wrong". Those "proofs" are in the same category with bending spoons with your mind, unicorns, and Santa Claus. To recap, Bell theorem proves that there is no local realism and there are no causal explanations possible for quantum correlations. Some time ago Sascha Vongehr introduced the idea of a "Quantum Randi Challenge" asking the wannabe disprovers to demonstrate their theories on a computer program. Since I have extensive experience in both worlds of physics and computer programming, I tried to simplify the computer program part and this work resulted in the script presented in the prior post. And now I will explain how it can be changed by anyone to their heart's content. or the user can manually erase the data and enter it by hand or according to their own "hidden variable theory". with your own method. Save the file locally and try to reproduce the minus cosine curve in the limit of large numbers. If you can do it without changing the rest of the script, the Nobel prize for you is most likely just a formality at that point (and I'll eat my hat). Can 1+1 Have More Than Two Points? - Is there a cartesian closed category with finite coproducts such that there exist more than two morphisms from 1 to 1 + 1?